When we first meet Ron Woodroof (Matthew McConaughey) in Dallas Buyers Club, he has few redeeming qualities, if any. He’s a foul-mouthed, bigoted, rodeo druggie, whose existence is reckless and quite frankly disgusting. It’s 1985 Dallas and the highly prejudiced and uninformed stigma surrounding HIV and homosexuality is alive and well. So Ron’s denial of his diagnosis stems from a firm belief that only gays can contract HIV. Of course, being a foul-mouthed bigot he paints that picture a bit more colorfully. Regardless of his resistance, his prognosis remains the same: 30 days to live. He may be an jackass, but he’s an jackass who knows how to research. He soon learns of the beginnings of trials for AZT. The excessively high strength of the early trials compounded with Ron’s cocaine usage land him back in the hospital, and even closer to his own self-destruction. As a desperate last resort he goes to Mexico to find alternative treatments. Here discovers a doctor and drugs that are actually improving his health. So, naturally, Ron develops a plan to make a buck off of it back in the States. 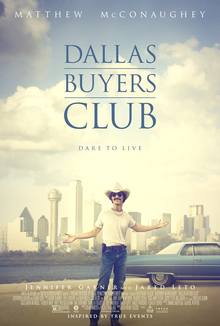 With only his charm (yes, turns out he has some), his smarts (he’s a very intelligent jerk), the the help of his business partner Rayon (Jared Leto), and the unwitting help of his doctor, Eve (Jennifer Garner), the Dallas Buyers Club is born. What starts as a money-making scheme becomes a serious push towards reform in the FDA and the politics of the pharmaceutical company. Somewhere along the way, and against all odds, Ron Woodroof becomes a likable character. He keeps his stubbornness and crudeness, he wouldn’t be him without it, but loses the bigoted thinking, and (of course) is better for it. This metamorphosis of sorts is seen most clearly in his relationship with Rayon, Ron’s transgender business partner. Ron’s knowledge of his own less-than-soft touch makes Rayon a necessity to bring in the clientele early on, but their friendship becomes the heart of this story. Jared Leto’s more than worthy of every bit of praise he’s received for this performance, and not just because he’s playing a transgender person. It would be easy to play a stereotype. Rayon is anything but. She is funny, smart, and tragic, but doesn’t feel sorry for herself. The only thing fragile about Rayon is her illness. At this point in the Oscar season we’ve all heard of the extreme physical measures Mr. McConaughey went to for this role. The emaciated man we see before us bears almost no resemblance to the hunky chick flick heart-throb we know and love (seriously, he’s quite excellent in the popcorn fare even if it’ll never get him an Oscar). His physical transformation into Ron is only surpassed by the emotional transformation of his character. The film, Dallas Buyers Club, is (if the film is to be believed) a perfect metaphor for the man at the center of it all. It starts out rough, as in tough to watch. It’s reckless, sleazy, and downright disgusting. Then the disease hits and after some resistance, an appreciation for life and diversity sneaks in. By the time we get to the end we’re not quite singing Kumbaya, but we’re in a better place. Of course that metaphor falls apart when you take into consideration that Ron lived 7 years past his death-date, and the movies just under two hours. 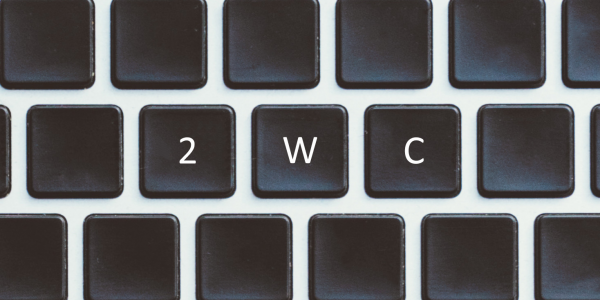 Ron’s story is a testament to second chances under the most dire circumstances, and that change on a grand scale can start in the most selfish of places.